Making your own fitted bed sheet permits you to be creative without putting strain on your budget. 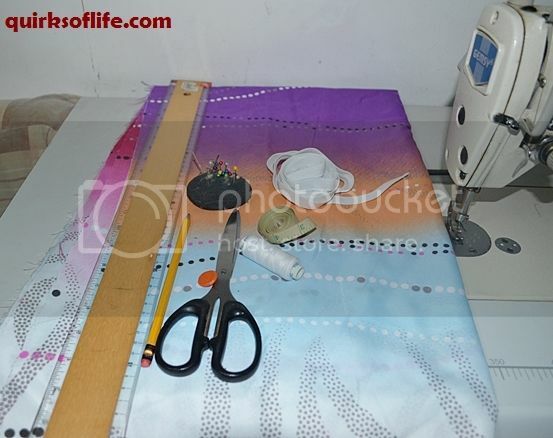 By sewing your fitted and flat sheets you can enhance your artful and inventive skills. Besides, it allows you to choose fabric designs you love. And since it cost you lesser than buying a ready-made sheet, you have spare money for buying other items you need. Not all fitted bed linens in the market are of the same size and quality. Also, mattresses come in varying sizes too. So, to make sure that your fitted bedding fits your mattress nicely, the best way is to create your own fitted sheets. In choosing cloth for your fitted bed cover, pick a fabric that is soft and comfortable to your skin such as flannel, cotton or satin. You can make fitted sheets that match or complement your bedroom color scheme. Why Use a Fitted Sheet Instead of a Flat Sheet? Using a flat sheet on your bed is fine. However, if you are constantly tossing in your sleep, the portion of the flat sheet tucked under the bed often comes out. This causes an untidy sight of your bed. Using a fitted sheet will solve the hassle of tucking the sheet under the bed every now and then. 1. Measure the length, width and depth (thickness) of your mattress. 2. Add to the length and width measurements, the thickness of your mattress x 2 plus 12“ (for the tuck under the bed and the seam allowances on both sides). Length of the cloth= tuck and seam allowance + thickness + length + thickness + tuck and seam allowance. Width = tuck and seam allowance +thickness + width + thickness + tuck and seam allowance. For example, the mattress length is 72”, width is 36 and the thickness is 4”; the measurement of your cloth should be 92” (6+4+72 +4+6) by 56” (6+4+36+4+6). 3. Cut a rectangular cloth according to your specifications. 4. 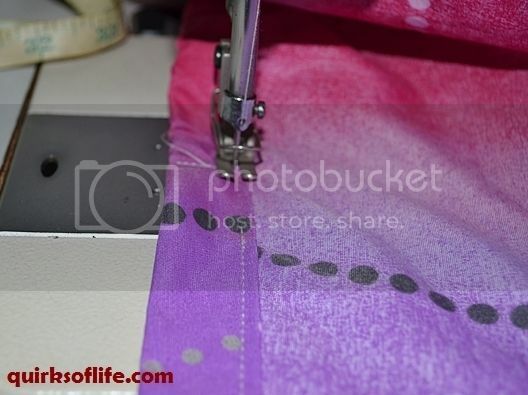 On the wrong side, measure 10” on both sides of your fabric from the edge of one corner of your cloth and put a mark. Draw a straight line (This covers the 4” thickness of the mattress + 6” for tuck in & seams). 5. From the corner fold over the fabric like a triangle. Join the long and short sides by stitching the straight line you have previously drawn. Repeat the same procedure on the other 3 corners. 6. Cut the fabric about 1” from your seam then fold and stitched to avoid raveling and to create a smooth finish. Do the same steps with the other three corners. 7. On the long side, measure 12” from the corner and mark. Do this on the four corners. The first marked area is the spot where you will insert the elastic band. 8. Create a ¼” fold from the edges. Then, make another fold about 3/4” and stitch throughout the sheet edges leaving a space of about 1” near the marked spot. (You may press your fold for easier sewing). 9. In the 1” opening in the marked area along the longer side of your sheet, insert an elastic band or garter using a safety pin. Stitch one end of the garter to hold it in place. 10. Guide the elastic band through the fold going to the shorter side of the sheet until it reaches the opening at the opposite long side. Sew the end of the garter as it gets in the open space. 11. Sew the opening where you inserted your garter and finished hemming the edges of your sheet. Here is your finished fitted bed sheet! I definitely need to learn how to make bed sheet. Will be having my new work soonest.